The extraordinary growth of the economy is a classic good news/bad news situation for commercial builders and developers. The encouraging aspect is more people are back at work, as the unemployment rate has stayed below 4 percent for half of the year, according to the most recent statistics from the Labor Department. This is partially due to business expansion, which requires more space and more workers to satisfy customer demand. The bad news? Robust growth is exacerbating the poor shape of the skilled labor production supply chain, impacting a worker shortage that may have further to go before it gets better, based on newly released estimates. 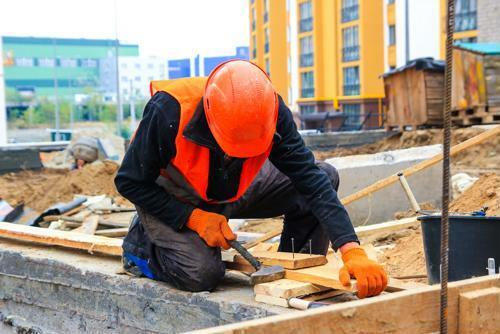 The commercial construction sector is in dire need of more people to fill created as well as departed roles, and according to the USG Corporation and the U.S. Chamber of Commerce, this shortfall is expected to continue for the foreseeable future. Indeed, the joint report revealed that the scarce amount of qualified builders in construction could worsen through to 2021. "Commercial construction skilled labor shortages could be evident through to 2021." Commercial contractors almost uniformly have felt - or expect to feel - the effects of the skilled labor deficit at least somewhat. Nearly 90 percent of respondents in the construction index analysis indicated as much, with 57 percent percent suspecting the fallout will be significant. It isn't just the commercial sector that's hurting from a labor perspective. The same is true among residential real estate developers. The issue has become so apparent, it's reached 1600 Pennsylvania Avenue, where in July, the White House issued an executive order that will see to the training of as many as 50,000 new construction workers. This has the potential to make the recruitment and employment procurement process less intensive. Unsurprisingly, the National Association of Home Builders applauded the decision. The only problem is training takes time, and developers need help right now. Jennifer Scanlon, CEO and president of the USG Corporation, said recruitment efforts have been slow, although strides have been made. Construction businesses must ensure that they make the most of what help they have to ensure organizational adaptability. "The commercial construction industry is growing, but the labor shortage remains unresolved," Scanlon conceded. "As contractors are forced to do more with less, a renewed emphasis on safety is imperative to the strength and health of the industry." In other words, contractors can't afford to lose someone due to an injury because that will magnify the severity of the shortage situation for them. Contractors seem to recognize this predicament, which is why 63 percent of respondents in the USG/Chamber of Commerce poll said they were working on developing a more comprehensive safety culture for crews to live by while on the job. More than two-thirds - 67 percent - said they were going about this by developing training programs that engaged workers. Aside from training, some suggest the best way to replenish the production supply chain is through automated intelligence. Smart technologies are being utilized in an ever increasing number of industries, although some fear that this trend may lead to job loss. Sixty-two percent of respondents in a recent Gallup poll said manufacturing and construction were the most likely sectors to have fewer employment openings if AI gains traction. Industry experts say the best strategy for developers moving forward may be to use a combination of AI and skilled laborers, perhaps utilizing technologies for tasks that are more menial in nature.